This guest post comes courtesy of Len Fehskens, Vice President of Skills and Capabilities at The Open Group. It is my impression, from what I read and hear in many enterprise and business architecture blogs and forums, that the enterprise architecture (EA) community comprises multiple factions, and which faction you are part of depends on how you answer two questions. These are fundamental questions that I suspect many in the EA community (present company excepted, of course) have not asked themselves explicitly, or, if they have, considered why they would answer them one way or the other. Is enterprise architecture primarily about IT or is it about the entire enterprise? 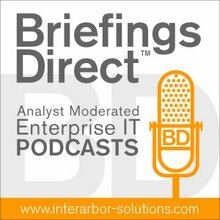 Is enterprise architecture a “hard” discipline or a “soft” discipline? Rarely has the cost of honesty been so modest. If you mean the architecture of an enterprise’s IT assets and capabilities, say EITA. Don’t say EA unless you really mean the architecture of the entire enterprise, not just its IT assets. Even if you consider the needs of the enterprise, or the structure of the enterprise’s processes, if the implementation of the architecture you’re developing will be mostly in the IT domain, it’s EITA, not EA. Even if you believe that architectural thinking can be meaningfully applied only to the IT function of an enterprise, it’s still EITA, not EA. My answer to the second question is that I believe enterprise architecture, as scoped above, is a “soft” discipline. I think talking about “manufacturing” or “engineering” enterprises is just silly; it’s another example of the kind of aggrandizement that misnaming enterprise IT architecture represents. Even calling an enterprise a “system” is risky. We use the word system in two senses. One is a very broadly inclusive idea, often expressed as “everything is a system,” in that many things can be viewed as assemblies or aggregates of smaller components. This concept of system is useful because it encourages us to take a holistic, rather than reductionist, perspective, acknowledging that the relationships between the pieces are as important as the individual pieces themselves. The other sense of “system” is the one engineers use – a system is an artifact that has been methodically designed and built from interconnected components. Calling something a system in the first sense doesn’t make it a system in the second sense; it doesn’t make its behavior and performance analytically tractable or deterministic. It is simply not possible to specify an enterprise as completely, and to the same level of detail, as it is to specify a building or a locomotive or an airplane. And, for the purpose of enterprise architecture, i.e., to ensure that an enterprise’s assets and capabilities are aligned with its vision, mission and strategy, it isn’t necessary to do so, even if we could. It may be possible to do so for EITA, and maybe that’s where the idea that the same can be said of the enterprise as a whole comes from. Calling something a system in the first sense doesn’t make it a system in the second sense; it doesn’t make its behavior and performance analytically tractable or deterministic. If the enterprise as a whole is a system, it’s a people-intensive system, and as such one might as well talk about manufacturing or engineering people. After all, why do we call them “enterprises”? Consider the first definition of the noun “enterprise” in the Oxford English Dictionary: “A design of which the execution is attempted; a piece of work taken in hand, an undertaking; chiefly, and now exclusively, a bold, arduous or momentous undertaking.” Clearly implicit in this definition is that this is something undertaken by people. There’s a nod to this reality when we refer to an enterprise as a “sociotechnical system”, but the “socio” too often gets short shrift while the “technical” gets the bulk of the attention. Yes, people play a role in other “systems” – they live and work in buildings, they drive locomotives and pilot airplanes. But people don’t just interact with an enterprise; in a fundamental sense, they are the enterprise. And unlike buildings and locomotives and airplanes, enterprises are continually adapting themselves, in the homeostatic sense of maintaining their integrity and identity in the face of internal and external change, and in the sense of deliberately repurposing themselves in response to such change. How would you answer these questions, and why would you answer them that way? Our answers strongly influence what we believe is within the purview of enterprise architecture, how we address that scope, and what we imagine we can accomplish by doing so.